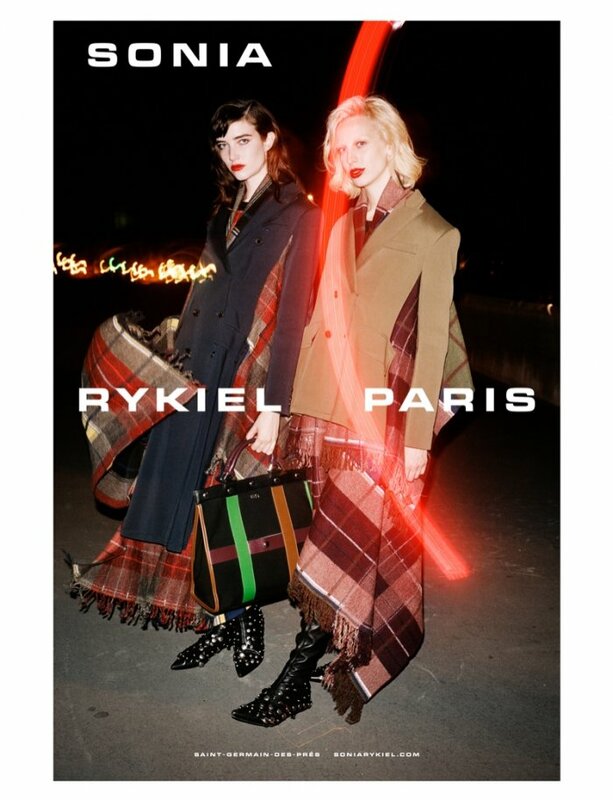 Sonia Rykiel sets its fall-winter 2018 campaign in Paris at night. 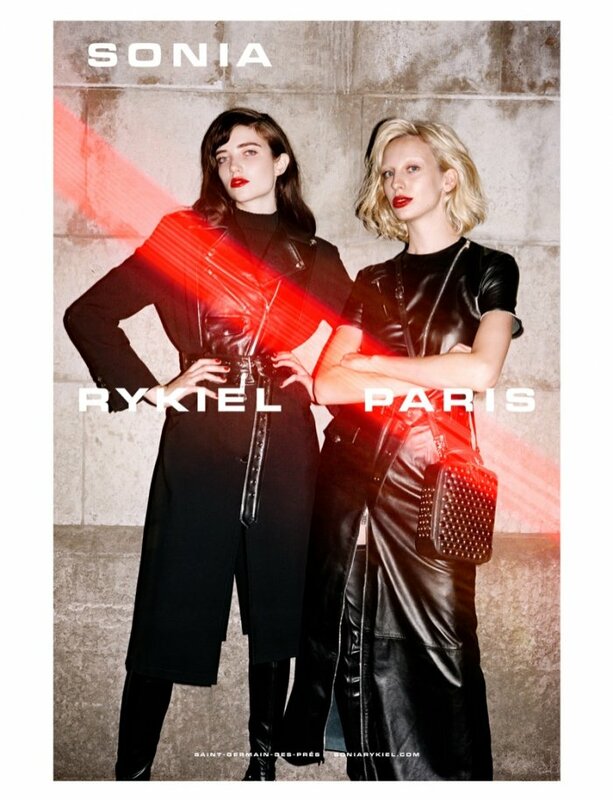 Models Grace Hartzel and Lili Sumner pose in new season styles for the images lensed by Angelo Pennetta. In the first image, the duo wears all-black looks with leather accents. And for the second, Grace and Lili layer up in tartan prints as well as chic outerwear. 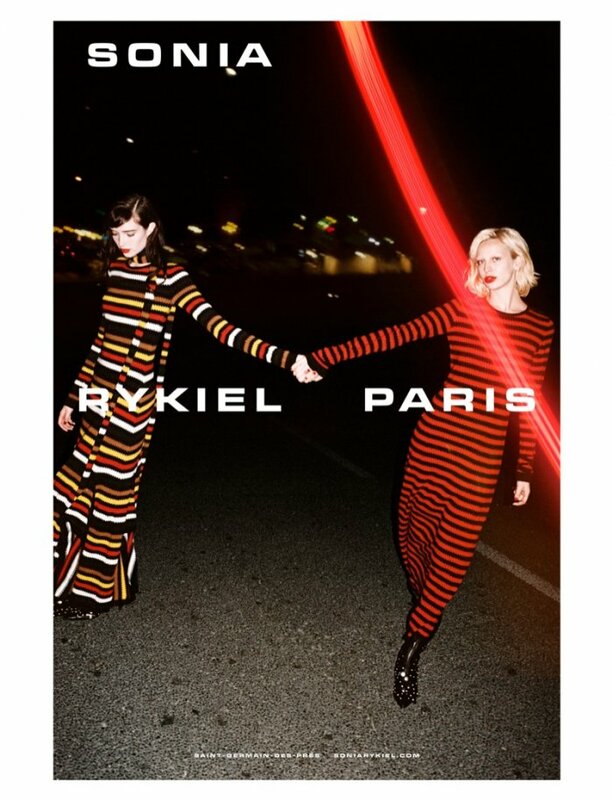 For the third, the pair models knit maxi dresses with playful stripes. Francesca Burns styles the shoot with hair by Cyndia Harvey and Thomas de Kluyver on makeup.